What happens when a disaster strikes? We see images and hear stories of people who have lost their homes, livelihoods and loved ones. We rarely see coverage of artists who have lost their studios, galleries, and income. Today, Caren Hackman reports about CERF+, which comes to the aid of those creatives who need immediate relief. When it was discovered that there was virtually no safety net for artists and their work, the Craft Emergency Relief Fund was established. The Rickie Report shares the resources that CERF+ offers! We hope that this article is just the beginning of a conversation with artists, galleries and other arts-related organizations. How can each be involved, in a small, but powerful way? Artists are one group that misses all the attention when disaster strikes. It may be fire, a hurricane, a flood, or an earthquake. Unless a museum is involved, no one seems to notice that great artworks are lost without compensation to the maker. At last there is a resource with CERF+, a very unique organization that has come to the rescue of artists as a kind of safety net for their fragile careers. They know there is no way to recover from major damage to supplies and inventory. When the events of life become oppressive, there is someone to help. As such, CERF+ advocates preparedness so that artists of all types are ready before an unforeseen event arrives. This could be a health crisis such as a personal illness or debility. 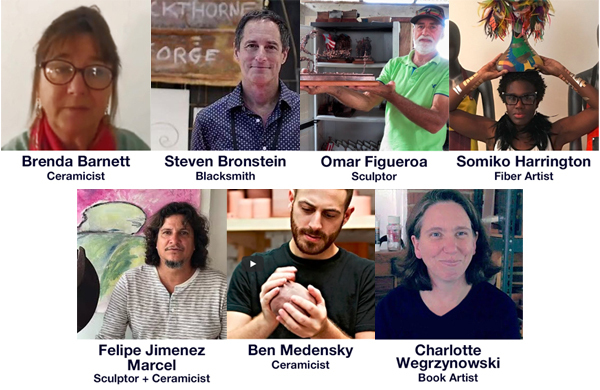 Their website, CERFplus.org (https://cerfplus.org), is devoted to preserving careers through “Studio Protector” and the “Wellness for Makers” programs. 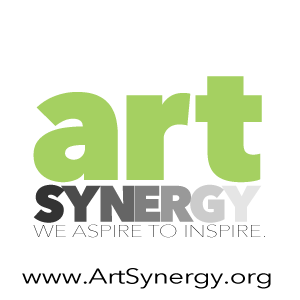 Much is loaded into the comprehensive site so that artists and craftspeople can get information on grant writing, health insurance, disaster preparedness and more. New or long-term creatives can find advice on a variety of relevant topics. Director of Programs and Outreach, Jennifer Simon, describes the organization’s philosophy as “everything that can help the artist enjoy a sustainable and resilient career. We attempt not to duplicate information already available to artists from other worthy organizations; instead, we try to focus on ‘filling the gaps.’” She points out that the new website is actually a merging of two previous ones: CERF and Studio Protector. The result is a guide to emergency relief assistance and recovery. It all came about when it was discovered that there was virtually no safety net for artists and their work. Carol Sedestrom Ross, President of American Craft Enterprises in 1985 and glassblower, Josh Simpson, joined forces in the mid 80’s to establish the Craft Emergency Relief Fund. 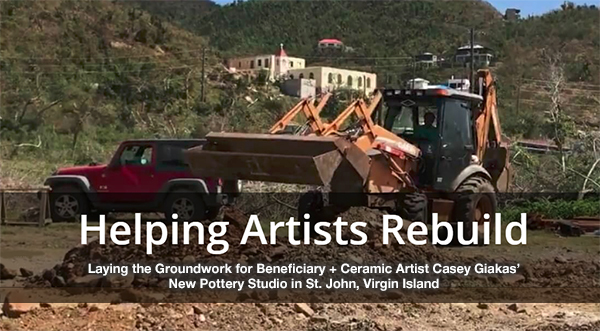 It was based on the known generosity of artists to help their community when in trouble. They formalized the former “pass the hat” tradition to an organized donation system. Lacking a website, of course, they depended on people passing through exhibitions and shows. Artists are notoriously loyal and before long, the fund grew along with the organization. They felt that “needs to be a greater presence of artists at the table when it comes to emergency assistance in general.” Artists and musicians of all callings periodically face times of dire need. And so the National Coalition for Arts Preparedness and Emergency Response was born whose members included the Actors Fund, Music Cares, South Arts, and the New York Foundation for the Arts. It is a tight knit group that is in constant communication to share ideas on resources and communal activities. The site is apparently a work in process and is becoming more personalized and easy to navigate with tabs like “Studio Protector” and “Plan Ahead”. Artists are asked to focus on what they can ill afford to lose in a disaster. An explainer video helps visitors with its step-by-step approach to recovery including documenting artwork and avoiding health hazards. Jenifer Simon recounts a time when she had stored prints in her parents’ basement. After it flooded, the artwork was water logged. An article on CERF+ instructed her on damage control by placing the artwork in the freezer to reduce mold. Practical advice and vital information on topics often neglected by artists such as insurance populate the valuable website pages. Artists seldom stop their creative sessions to think about risk reduction and safety. They are also taught how to value their work in terms of cost of materials so that they understand their true profit after sales. With people like Jenifer at the helm, CERF+ has incredible reach and import. It is a wonderful mutual aid society that relies on consistent donations. In actuality, 62% of the donations come from artists; the rest is from grants! 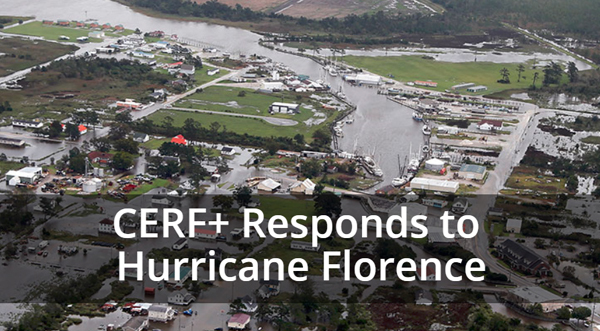 CERF+ has a clear future in coming to the aid of those who need immediate relief. The Federal budget does not include art supplies and musical instruments. With their thoughtful foresight, the founders of this worthy organization have created a legacy that will sustain artists well into the future to ensure the longevity of creative endeavor. Jenifer Simon is currently working as CERF+’s Outreach Coordinator. For more information about CERF+’s programs, contact programs@cerfplus.org. If you would like to donate to CERF+ please visit https://cerfplus.org/donate. Caren Hackman is a graphic designer and fine artist living in Palm Beach Gardens, FL. and author of a book about Graphic Design and Good Business practice: http://www.carenhackman.com/book/. 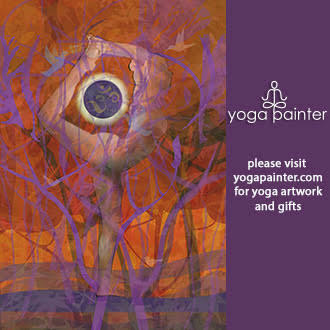 Be sure to check out Caren’s wonderful artwork – Caren is a talented artist in her own right! She is a founding member of the Artists of Palm Beach County.